Bret Michaels, a lifelong diabetic, the son of a veteran, and survivor of a life-threatening brain hemorrhage has always stood up to any challenge that was thrown at him. As Bret ramps up for the release of his latest single and video, “Unbroken,” (March 15), he is putting his fans in charge… If they have the right moves that is. The Unbroken #HotRocksChallenge, announced today, combines Michaels’ love of music and giving back into one epic social media competition. In the runup to the release of “Unbroken,” which is about resilience and overcoming adversity, Michaels is giving one lucky fan the chance to win a $10,000 donation from his Life Rocks Foundation to the recognized 501c3 charity or charities of their choice. To join the challenge, fans will show the world their best #HotRocksChallenge dance moves, with or without music, on Instagram… But only one lucky winner will get to have Bret’s Life Rocks Foundation write the check to their charity. As a world-renowned entrepreneur and music icon with partnerships that include global brands such as PetSmart, OverStock, the Dr. Pepper/Snapple Group, and real estate investments to name a few, Bret lives to create. From Digital Greetings (which he pioneered in 2012) to the two new TV series he is currently working on, Bret loves bringing big-picture projects to life — and the Unbroken #HotRocksChallenge is his latest visionary idea. As a philanthropist whose Life Rocks Foundation, donates to a number of 501©3 Charities and sends children with Type 1 Diabetes to camp each summer, giving back is the driving force behind everything Bret does… Now, with the Unbroken #HotRocksChallenge he’s challenging you to help him help others. 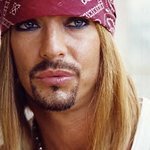 For updates on the Unbroken #HotRocksChallenge, to donate to the Life Rocks Foundation and for all things Bret Michaels- head to BretMichaels.com.